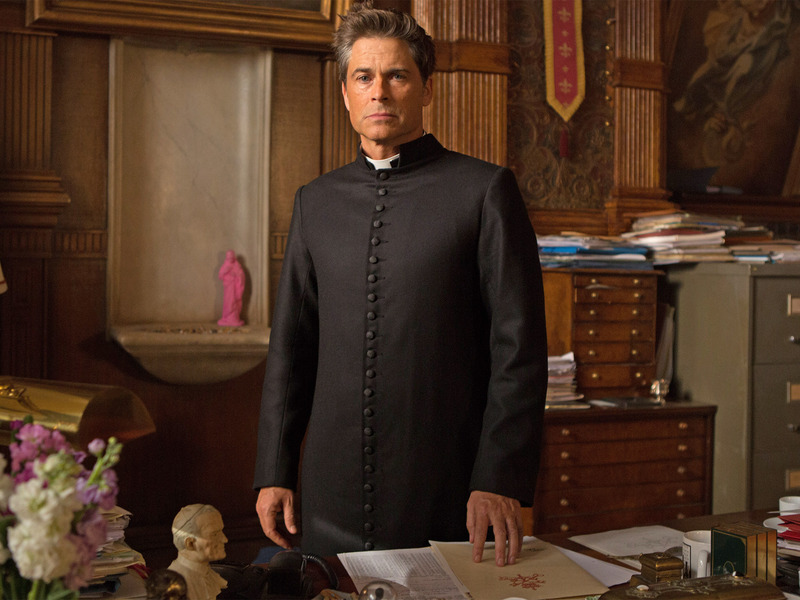 Sky One’s new comedy drama, “You, Me and the Apocalypse” gives a starring role to Rob Lowe as the Devil’s Advocate. What a job, I mean the actual job. I hadn’t realised until watching the show that this was a real job at the Vatican in Rome. For nearly four hundred years, from 1587 until 1983 it was the role of this man to pick holes in the evidence for canonisation of saints, and to look for real proof of any miracles. Guess what happened when the role was reduced in influence by Pope John Paul 11? Nearly 400 more saints confirmed during his quarter of a century of popedom, than all of the other 20th century popes’ terms of office put together. Look round your office. Where does your devil’s advocate sit? If you don’t have one, then start to worry. There will undoubtedly be too much belief in “advertising miracles” and too many people placed on pedestals on the way to media sainthood for the longterm health of the organisation. The analytics teams can be a good place to find devil’s advocates. Experts trained in examining the empirical evidence of the success of the communications plan to allow the truth to emerge from neophilia and gut feel. More than once I’ve turned to them to provide evidence to argue against prejudices that still abound. Is daytime TV worth it for anyone under 70? Is there any point in advertising in the summer? If we do a cut down of the ad will it lose all its brand effect? (Yes, Yes, No). They need their own devil’s advocates too though, don’t let them optimise you into a sub-optimal situation where nothing new gets through because it is unproven. Most people I know would hesitate to act on the advice of an astrologer or a tarot card reader without taking a reality check. We don’t believe in the stars or the signs like we used to do. We do like to follow the Herd however, as Mark Earls puts it. There are times then when claims made on a media conference platform or by those talking loudly in media hangouts sway media people to ditch an unfashionable medium at the expense of one that may be unproven but is on trend. Don’t believe the hype then without questioning it. That includes the hype about the people around you. Building a reputation is a crucial part of building a career in our industry. In some instances it can be at the expense of other arguably more crucial characteristics. Can you think of anyone you know who is a bit shaky in some areas of being a media practitioner, whilst having a superb reputation for networking? The kindest thing that you could do for them is to be their devil’s advocate and to have a quiet word. Even the starriest amongst us need truth told otherwise they run the risk of believing their own hype. Journalist Jess Cartner-Morley is talking about Fashion. She calls Instagram the new heart of fashion, replacing the catwalks of London, Milan and New York. She comments that to shine on Instagram a fashion brand needs to be friendly, approachable and above all authentic. This is not just true of fashion brands. It is not just true of the catwalk. What’s more if it is true on the catwalk just think how much more it applies in the supermarket, on Amazon and on the high street to all kinds of category of brands. If you’re not Westwood or McQueen you have an even greater need to express authenticity and approachability. Not just through brand essence and tone of voice, not just in advertising, but above all in media strategy. (I’m not suggesting every advertiser has to be on Instagram – it is early days yet, but it must be on the consideration list). Aloof and cool were extremely desirable once. Now friendly and approachable have replaced these criteria. How can you warm up your media? It might mean a role for micro-local communications. One voice nationally may not work in the brand’s best interest. Consider regional voices for radio across the UK, featuring local employees in regional papers or referencing specific statistics, streets and boroughs in outdoor executions (as MediaCom did for the Met Police’s highly effective confidence campaign). How’s your approachability? Whilst it is still true that there are far more people watching brand/consumer interaction than joining in, it is an important signal of how friendly and agile your brand is. How’s your tone of voice? There’s a finished perfection to most brand communications that does not necessarily play to enhancing approachability. It isn’t numbers of tweets/posts that count it is their tone of voice and share-ability. A catalogue of product suggestions is a catalogue whether you print it and door drop it or whether you cut and paste it into a series of tweets and posts. I’ve just scanned one food related brand’s last dozen posts. Ten are recipes, two are offers. Consistency is a fine thing, but come on Brand X – mix it up a bit – I’d never get out of the kitchen if I listened to you, and a spot of funny wouldn’t go amiss. How much can your brand support potential customers? Is the brand purely out to show glamour with top models or could it encourage the potential in all of us? So have an element of the campaign that specifically flatters the buyer as opposed to just amplifying a celebrity’s endorsement. Any sport brand can buy top level athletes’ endorsements if it has deep pockets. The brilliance of Nike is that it also speaks to the athlete in you, me, everyone, invites us all to run. To be friendly you must act as a friend would, not just hide behind the spin of idealized friendliness – that really isn’t cool anymore. Welcome to the age of Friendly. 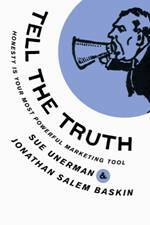 For more on authenticity in media strategies see Sue’s book “Tell the Truth, honesty is your most powerful marketing tool”, available on special offer on Amazon now. 2 by 4: 2 ways to deal with the 4 minute rule. The nation is hooked on watching people watch TV. Once you start watching Gogglebox, it’s hard to stop. Do we even know how we feel about XFactor, The last night of the Proms and This is England until we’ve heard from Sandy and Sandra, June and Leon and the inimitable, and wise beyond her years, Scarlett Moffatt? The least authentic thing about the programme is the full concentration that every Gogglebox cast member pays to what is going on. They’re glued to the action on their TVs. They never pick up a second screen. TV is powerful, powerful for branding, powerful for story-telling, powerful for selling stuff. Commercial TV has been effective at selling product for 60 years. It has not got any less powerful in this respect as far as advertising effectiveness is concerned. It is not any more (if it ever was after the 1950s) the single focus of most people’s attention most of the time. YuMe research shows a 4 minute window for sole attention to TV amongst multi-screen viewers: 4 minutes when viewers pay all their attention to the main screen. Then that’s it. After 4 minutes viewing attention to TV drops as people turn to other devices. TV is the most used device still in multi-screen environments. It just doesn’t necessarily receive most of the attention. And Touchpoints 5 shows that half of the UK population picks up their mobile device whilst watching TV. Should we change our approach to TV in this new normal? TV is fuel to lots of conversations and great advertising benefits from this. If you’re worried that multi-screening stops ad recall then don’t be. Thinkbox studies show that it absolutely does not. Here are two techniques that any planner can use to drive TV effectiveness still further in this new TV normal. First by influencing creative strategy. Often the ambition of an ad campaign is to make the advertising as talked about as the programmes either by being emotionally epic, or by shouting rather loudly. We must now consider whether the focus for advertising effort should in fact be to create some kind of memorability whilst not being the main focus of attention. Jingles and repeated slogans/memes would help with this. Especially if it true that our attention spans are shrinking. Microsoft have told us that we have lost 4 seconds of focus since 2000 when we could focus for a whole 12 seconds. (Now it’s just 8). Does this mean we should constantly change the messages and change them fast? The solution might be the very opposite, ie heavy repetition of the same meme rather than constantly refreshing it. The second way is by harnessing mobile devices to complement the big screen, use of content and ads to reinforce the TV message and potentially to complete the sales journey immediately. MediaCom research showed multi-tasking while watching TV was always highly prevalent long before the days when everyone sitting in front of the big screen had another screen or two to hand. Back at the turn of the century breakthrough ethnographic research came up with a multitude of other behaviours that played out in front of the telly ranging from reading the newspaper to beauty treatments. Back then all we could do was quantify them by programme type to pick the best spots. Now we know so much more about what everyone is doing. We can build a 360 degree real time view of TV viewers and what they are up to. With this perspective we can design integrated on and offline screen campaigns that improve advertising effectiveness for the four minute window and beyond. In a recent Sunday Times article business writer Adrian Furnham proposes the idea of a “Restoration Day” at work. A time when the wronged confront those that have acted against them. A day every year when the wrongdoers make things right. According to some surveys three quarters of people who leave their jobs do so because of a bad boss. Project what this must cost in terms of recruitment fees alone, let alone days missed through stress by those who haven’t left yet, and you can see that improving this situation has the potential to save huge amounts of money. Also of course to make people happier. No anger or misery about being unjustly treated, and therefore of course no need to try and get your revenge. Yet, does vengeance have its place in motivating people? We really don’t like to admit that it does as far as our own behaviour is concerned but we will happily speculate about business deals sparked by this very human emotion. Or top performers whose whole career is fuelled by a snub or put down at a pivotal moment. Just because we don’t like the idea of vengeance does not mean that we can make it disappear. 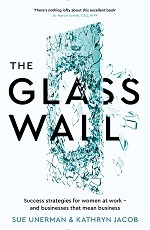 Until the Restoration Day takes hold, perhaps it is best to confront the idea of vengeance in the workplace and work out how to use it to your own advantage? One of the earliest documents coaching senior management techniques does not shy away from discussing the role of vengeance. It was written in 1513. Machiavelli’s “The Prince” offers pragmatic advice for rulers – admittedly in a time preceding most HR departments. His thinking explicitly recommends getting your vengeance in before your opponents can. It’s worth thinking about, and it is worth watching out for this behaviour amongst your colleagues. I’ve asked a series of business people if they have ever been motivated by revenge or fear of revenge. People universally say no, revenge is an ugly emotion. They acknowledge competitiveness – it’s great to want to win. They will talk about fairness and a desire to see justice done at all costs. Both these traits are the fair face of revenge. It does no harm to acknowledge the dark side of the feelings at least to yourself so that you have the benefit of understanding your own deepest motivation, and that of those around you. 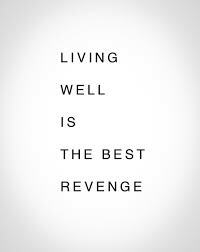 And after all if its ok with Buzz, it surely is ok for you – and remember, living well is the best revenge. Buzz Lightyear: I just want you to know that, even though you tried to terminate me, revenge is not an idea we promote on my planet. Woody: Oh, well, that’s good. Buzz Lightyear: [leans in, lowers to a whisper] But we’re not on my planet… [grabs Woody’s collar] are we?